Song to the post: Jolene by Dolly Parton. We can look back at a succesful summer: All calves where born without problems and the little ones are doing well. We are quite happy with the “UK-progenies”: Banwy T-Rex son Jeremias Pp is still doing good and the homozygous polled Dirnanean Apostle PP daughter Juanita PP* is currently nearly as well muscled as her best friend, female Charolais calf Jocelyn Pp (sired by German AI bull Junior PP). 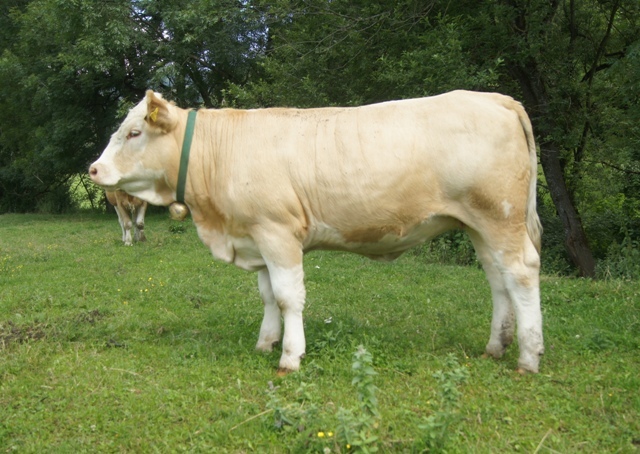 Whereas polled cattle predominate in Beef Simmantal, they aren’t that common in Charolais. Of course the major concern is loss of muscle and type. At least for now Jocelyn Pp is fleshy and looking good. Steinadler PP daughter Juliska PP* takes after her father: well muscled and middle framed. Britta Pp was the last one to calve and she seem’s to be really well trained: I asked for a female calve and I got one. If all of them were that dutifully 😉 Bayer PP daughter Jolene P is really charming, she’s already twisting us around her finger. Borgy pp and Franziska Pp* each got twins (of course a male and female one). But that evens out the fact that Augenweide and Gloriette weren’t pregnant. Pictures from this year calfes will follow. The two daughters from Kilbride Farm Newry, Dirnanean Apostle and Banwy T-Rex, who are about 12 months at the pictures, are all doing good. Overall we’re really happy with the decision to use AI sires from UK. Well, now we have “Winter break” until April. 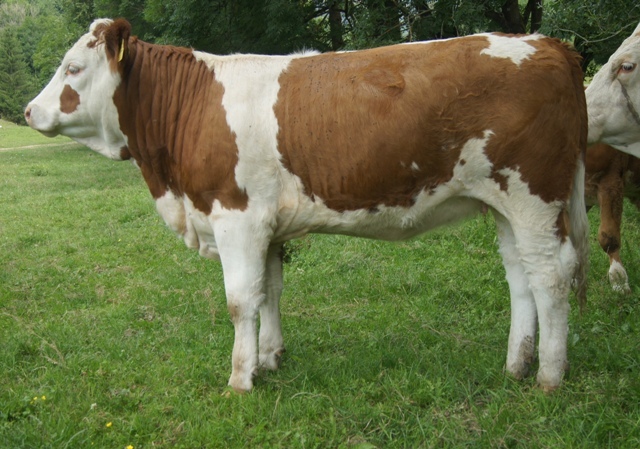 Berit Pp is pregnant with Kilbride Farm Newry, Pompoadour pp with Atlas PP, Charolais Cassiopeia with Junior PP, Burgeoise pp with Steinadler PP and Boszena Pp and Augenweide Pp are both pregnant with our own bred Apostle son Isaak PP*. 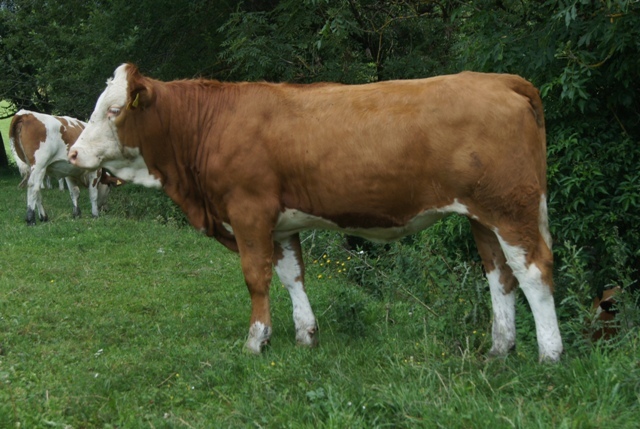 We’ll continue to use horned Simmental sires. For 2015 we have chosen Popes Barclay pp.